My heart is busting open with love, joy, gratitude, abundance, happiness and all good things. I’m literally having a heart on! That’s when Oxytocin (the love hormone) stimulates the production on nitric oxide which actually pumps more blood into the heart area engorging it. Once you have coherence in your heart and mind you will feel complete. When you feel complete you don’t want or need anything and everything can then come to you! It is the coolest feeling ever!!! When my heart is open I just want to share this feeling with everyone! All I want is for others to feel this good. People are more stressed out then ever. There is so much change happening in the world that people are getting so overwhelmed. Anxiety and depression is a pandemic these days. If you could only learn a few tools, techniques and strategies to connect on a heart level, you too can have a heart on. All it takes is to let go of all the things that doesn’t bring you joy and start focusing on the things that do. The more you do this the more you activate your heart center and send energy there. If you need support, reach out. You will be so happy you did! HELP I’m Having a PANIC ATTACK!!!!!!! Do you get overwhelmed by all the people, places and things in your life? Many people are relying more and more on medication, alcohol, and illegal substances to calm their nerves and ease their mind. However, all of these external things are a quick fix to the problem and bandage to the real cause of what’s really going on. 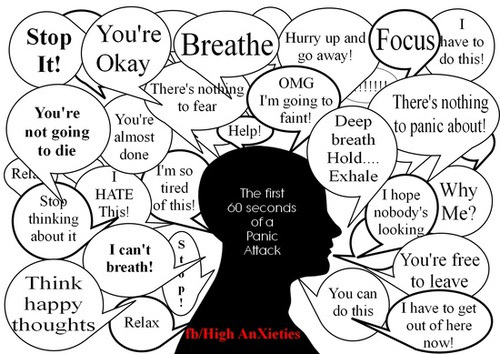 A Panic attack, is a feeling in your mind and body that overtakes your ability to function in a healthy way. It is as if your mind is being taking over by bandits. There’s mutiny in your mind, and you are wrestling with the enemy;yourself. The chatter, confusion, and sheer panic that is expressed in your body can feel like every nerve is on fire. So, how do you stop the madness? You must first understand that your conscious and subconscious mind are at odds. Next, you have to become aware of the negative emotions that have been stored in your subconscious mind and release them through practice, meditation, and techniques to calm and center the mind. There is help. In today’s busy world, you can find the peace within to withstand any storm that might be ragging outside of you. Once you find this stillness, this center of pure consciousness, you will transmute panic into faith and courage. It is possible and you can change your thoughts, feelings, and actions to live a peaceful life.